What is the #1 prophetic sign? 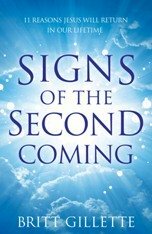 What sign more than any other points to the soon return of Jesus Christ? While any number of signs are present, I believe one stands out above all others. In fact, Jesus Himself told us what it is. When the disciples said, "Tell us the signs of your coming and the end of the age" (Matthew 24:3), Jesus detailed a number of things to look for. He then said, "When you see all these things, you can know my return is near. I'm right at the door" (Matthew 24:33). He also said, "When all these things begin to happen, look up for your salvation is near!" (Luke 21:28). This means the #1 sign of Jesus's return is all the signs appearing together. Both Jesus and the prophets told us what signs to look for, and the appearance of just one is reason enough to take notice. But the arrival of one sign after another should really get your attention. This convergence of signs is the #1 prophetic sign - the #1 reason to believe Jesus is right at the door. Israel Back in the Land - God promised to bring the Jewish people back into the land of Israel before He returned (Jeremiah 23:7-8). He said He would call them from "among the nations" (Ezekiel 39:28), from "the farthest corners of the earth" (Isaiah 11:12), and from "north, south, east, and west" (Psalm 107:3). He promised to welcome them home from the lands where they were scattered (Ezekiel 20:34). When they did, He promised to return and establish His everlasting kingdom (Isaiah 11:11-12). The Jews Back in Jerusalem - Jesus said armies would surround Jerusalem, destroy the city, and enslaves its citizens. This happened in A.D. 70 when the Roman legions did exactly that. Jesus then said people other than the Jews would control Jerusalem for a time, then the Jewish people would once again control Jerusalem. When they did, Jesus promised to return (Luke 21:24-28). Since 1967, the Jewish people have been in possession of Jerusalem. The Gospel Preached Throughout the World - When asked about the end of the age and the signs of His coming, Jesus said to look for a very specific sign. He said the Gospel will be preached throughout the entire world. Every nation will hear it. And then? And then, the end will come (Matthew 24:14). For centuries after the crucifixion, the Gospel was confined to a small area surrounding the Mediterranean Sea. In the past two centuries, Christians have brought the Gospel to every nation in the world. Today, missionaries are in every nation. The Bible is translated in hundreds of languages, and the message of Jesus is sent around the world by radio, TV, satellite, and the Internet. Our generation is literally on the verge of spreading the Gospel to every last person on earth. 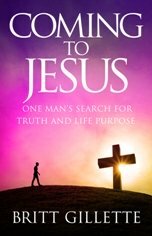 An Increase in Travel and Knowledge - Six hundred years before Jesus, an angel gave Daniel a special message. He said "travel and knowledge" will increase in the end times (Daniel 12:4). For centuries of human history, dramatic gains in travel and knowledge did NOT take place. Yet the last two hundred years have seen explosions in the speed and frequency of travel as well as the amount and availability of knowledge. 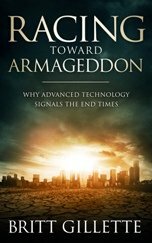 Arrival of the Exponential Curve - Jesus said a variety of global signs will come before His return and the end of the age. These signs will be spiritual, natural, societal, and political in nature. And He said they would appear in a distinct way - "like birth pains" (Matthew 24:3-8). This means the frequency and intensity of these signs will increase as we near His return. Our generation has seen the exponential increase in war and famine Jesus said to look for. In the 20th Century alone, more people died from war and famine than lived on the earth when Jesus spoke these words. Israel Surrounded by Enemies - The Bible says enemies will surround Israel in the end times. Those enemies will say "Come, let us wipe away the nation of Israel. Let's destroy the memory of its existence" (Psalm 83:4) and "Let us take for ourselves these pasturelands of God" (Psalm 83:12). Ezekiel said Israel's neighbors will say "God has given their land to us" (Ezekiel 11:14-17), and "Israel and Judah are ours. We will take possession of them. What do we care if their God is there?" (Ezekiel 35:10). Ever since the rebirth of Israel in 1948, the daily headlines have included these Bible verses. Israel's Muslim neighbors claim the land of Israel for themselves, and they have no regard for the God of Israel. Israel's Exceedingly Great Army - Ezekiel said, in the end times, Israel will field "an exceedingly great army" (Ezekiel 37:10). Zechariah said Israel will be like a fire among sheaves of grain, burning up the neighboring nations (Zechariah 12:6) and even the weakest Israeli soldier will be like David (Zechariah 12:8). Since 1948, Israel has fought no less than four conventional wars against its neighbors. Despite being outnumbered more than 50 to 1, Israel has achieved overwhelming victory every time. Rise of the Gog of Magog Alliance - The Bible says a military alliance that includes Russia, Iran, Turkey, and a number of Muslim nations will attack Israel "in the latter days" (Ezekiel 38:8) when God brings His people home from among the enemy nations (Ezekiel 39:27). Today, we see those very nations coming together - an alliance that has never existed in world history. Rise of a United Europe - The Bible says a revived Roman Empire will come to power in the end times (Daniel 2, Daniel 7, Revelation 17). According to Daniel, it will be a ten nation alliance of weak and strong nations. Some parts will be as strong as iron, while other parts will be as weak as clay (Daniel 2:42). We see the beginning of this alliance in the European Union - a coalition of weak and strong nations struggling to stay together. The Rise of Global Government - The Bible says a single government will rule the world politically (Revelation 13:7), religiously (Revelation 13:8), and economically (Revelation 13:16-17) in the last days. It will rule over "all people, tribes, and languages" on the face of the earth (Revelation 13:7). Its authority will be so complete no one will be able to buy or sell anything without its permission (Revelation 13:16-17). For centuries, a true global government was impossible. Today, world leaders openly discuss it. Denial of the Signs - Almost two thousand years ago, Peter issued a warning. He said in the last days people will mock the idea of Jesus returning. They will make fun of those who believe in the Second Coming and say exactly what we hear today - things like, "I thought Jesus was coming back? What happened to His promise? Generation after generation has said He's coming. Yet, since the beginning of the world, everything has remained the same!" (2 Peter 3:3-4). Despite the naysayers, Jesus is coming, and ours is the generation that will witness His return. The convergence of all these signs confirm it. Jesus Himself said to look for these signs, and when you see them, He said you can know His return is near. He's right at the door (Matthew 24:33). In fact, He said the generation witnessing these signs will not pass away before He returns (Matthew 24:34). "But Britt," you might say. "These are the same signs you keep pointing out. You keep saying the same thing over and over." That's right. I do. And that's because the truth doesn't change. These signs were present yesterday, and these same signs will be present right up until the rapture. But keep this in mind - for 1,878 years of Christianity (A.D. 70 - A.D. 1948), none of these signs were present. Today, all of them are. I repeat myself because this is a message people need to hear. It's the message every Christian should brand in his heart. 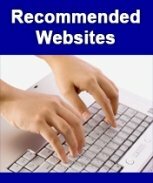 Advertisers say you need to hear a message at least seven times before it sinks in. Looking around, I don't think it's sunk in. Too many people are asleep when it comes to the signs of the Second Coming. Sadly, many of these people are Christians. If you're one of them, it's time to wake up. Jesus warned us not to be caught sleeping when He returns (Mark 13:36). He commanded us to watch. Today, the signs of His return are all around us. Jesus is coming, and it can't be said enough... Now is the season of His return.